If you all still don’t know who CP is. Here is his two months trip to Europe video. An awesome compilation for an awesome trip he did! We’re really inspired! Now the second video we are featuring is also from the well-known Russian, none other but Alexander Zyulev. After the famous “Take Your Time” video where it included the first double-kong gainer done outside, Zyulev and Pasha and others have really done it again!! This video “Take Your Life” is a beautiful piece, with great cinematography and awesome creative movements! Follow la Instagram best ni! Meeting the top freerunners in the world! 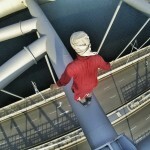 Professional athletes climbs the famous Putrajaya bridge WITHOUT any safety harness! Dua video baru di dalam Parkour Malaysia scene. Video baru di channel Abir. 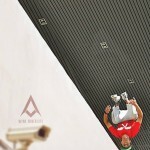 Freerunning in KLCC is now a privilege. We haven't freerun near the twin towers in a while now, so we went back there. And Alep nailed a few new jumps. Newest parkour videos that are a must-watch for everyone!